HJF278V 41BT71 (1957) Bedford SB3 . Strachan B33F . Ex-MOD (RAF) . Seen 1999 . Worcs. 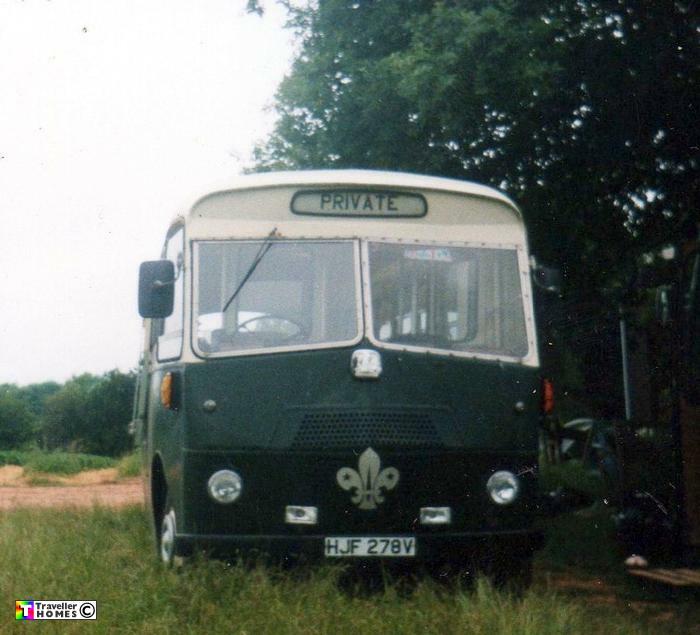 It had been used as a Scout bus before M.Perry sold it to Mark & Zoe , who swapped its petrol engine for a 330 Bedford lump . But it was then scrapped by the next owners ! . Photo = Zoe Disley .